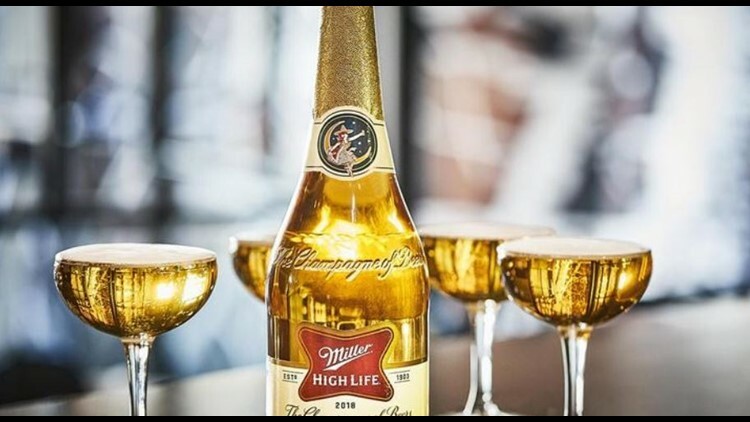 The bottles will contain Miller High Life, long promoted as the "Champagne of Beers" in marketing and advertisements by the Chicago-based beer company that maintains significant operations in Milwaukee. DENVER BUSINESS JOURNAL — MillerCoors, the U.S. division of Denver-based Molson Coors Brewing Co. (NYSE: TAP) will sell Champagne bottles this holiday season, but true to form, they won't include actual sparkling wine. The bottles will contain Miller High Life, long promoted as the "Champagne of Beers" in marketing and advertisements by the Chicago-based beer company that maintains significant operations in Milwaukee. MillerCoors has market tested the 25.4-ounce bottles in both its primary midwest markets in recent years, and launched them for sale nationwide this week through the end of the year. The bottle's neck is wrapped in gold foil, which is fastened by a wrap featuring Miller High Life's signature "Girl in the Moon" logo. Both the bottle's label and the bottle itself has "The Champagne of Beers" scrawled across it in cursive lettering.